First, Domino's took pizza delivery to another level with their pizza tracker invention back in 2007. The pizza tracker allows you to watch your ordered pizza's progress on the Domino's web site as its being made and eventually delivered. Now, Domino's continues to push the limits of awesome by recently putting out the Dominos Pizza Hero app for ipad(available for free at the App store.) It's actually a game where you compete in a bunch of pizza making related contests. 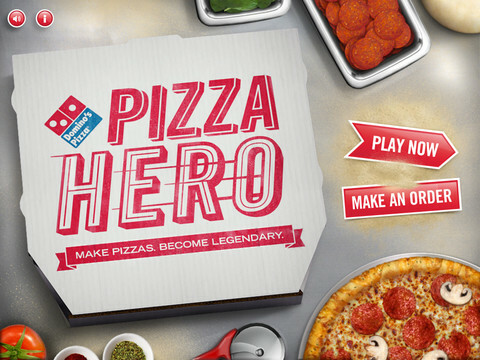 You can even create a pizza using the app and have it delivered to you in real life. We tried it out and its pretty fun, kind of addicting, and the pizza we had delivered came out better in real life then the disaster we made on the app. Check out the video below of the app in action.